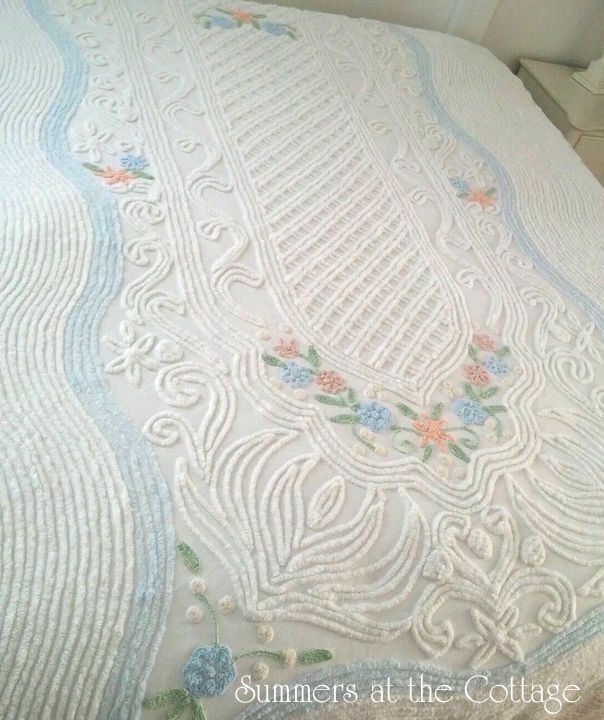 Gorgeous vintage chenille bedspread pretty with blue roses and peach flowers on white with a cottage trellis design. 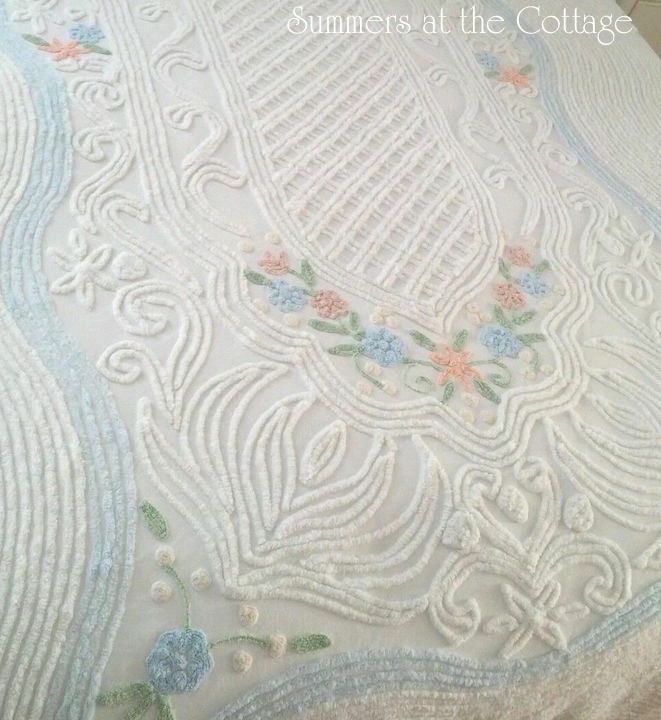 This wonderful Vintage Chenille bedspread is accented with popcorn chenille and waves of blue and white and daisy flowers and scrolls. So charming and very shabby romantic chic! 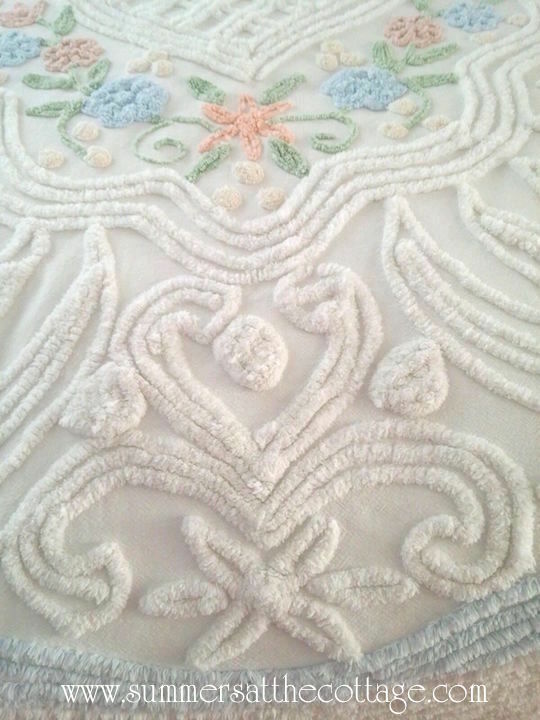 The perfect bedding to mix with all cottage colors or Shabby Chic bedding! Just add accents of the colors you love and layer lots of bedding for true cottage charm. A wonderful addition to Romantic Cottage Homes! 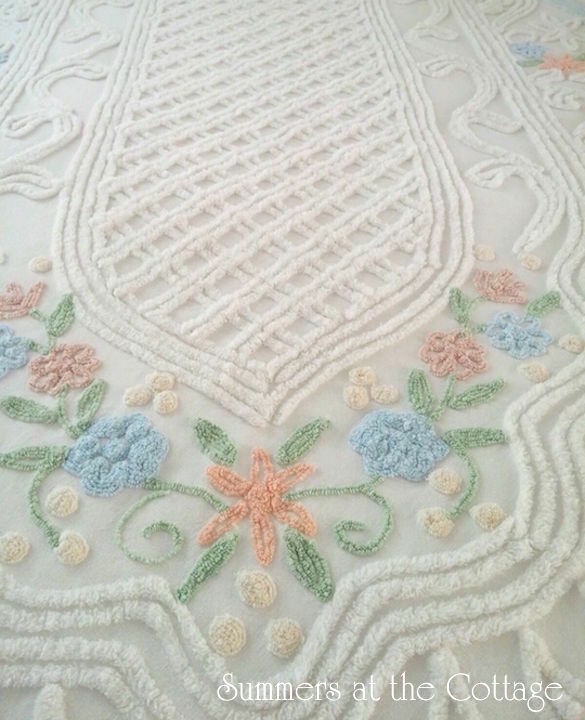 This pretty lightweight chenille bedspread is in wonderful vintage condition with no major flaws. Measures approximately 74 x 100 inches. Be sure to measure your bed. It may fit nicely on a Twin or Full bed or a daybed. Definitely consider layering this over existing bedding for a true cottage look! Please note - All vintage chenille will have some little flaws and we do our best to find them and note them. 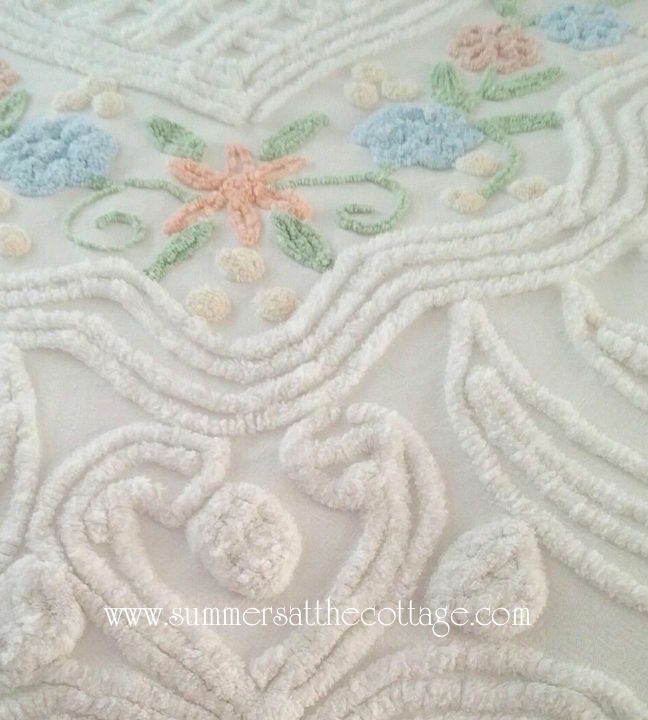 Most vintage chenille will have some missing chenille or pulls or some thinning of the fabric. Any major flaws we will note along with any little flaws that we catch we will mention as well.